Talk about a Throw Back Thursday. 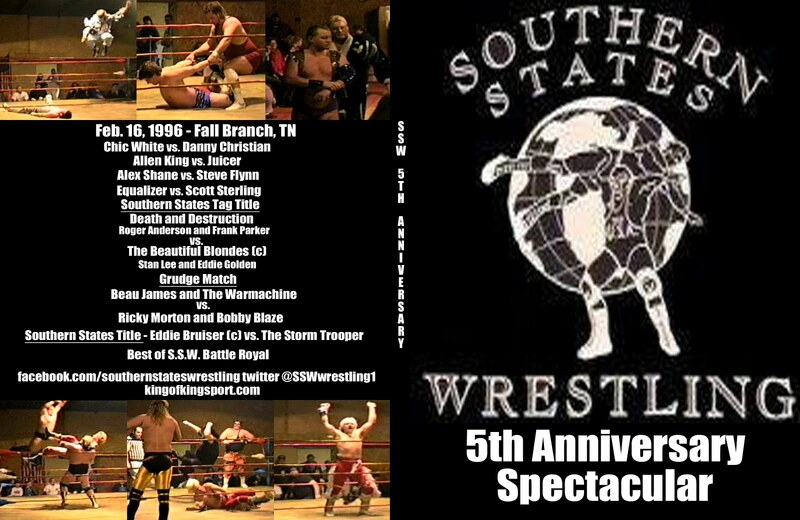 Today marks the 26th Anniversary of the first Southern States Wrestling event. My friend for life Krunch and I spent that cold morning digging a wrestling ring out of a small barn. To take it to an even colder Community Center to spend the afternoon trying to figure how this ring went together. The ring was built by a legally blind man out of steel that was once a bridge on a state hwy. That was the beginning of wild ride. Thank you Lord for the amazing journey. 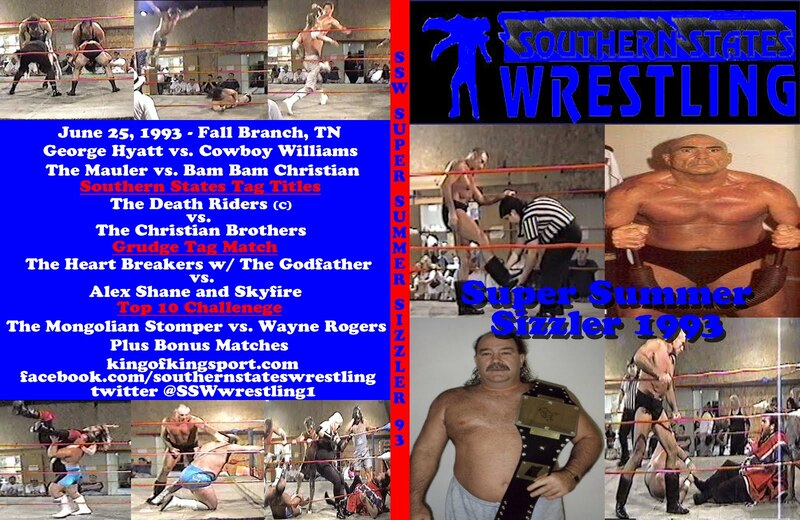 SSW was the first area promotion to be covered by local papers, TV and national magazines since Ron Wright's promotion. 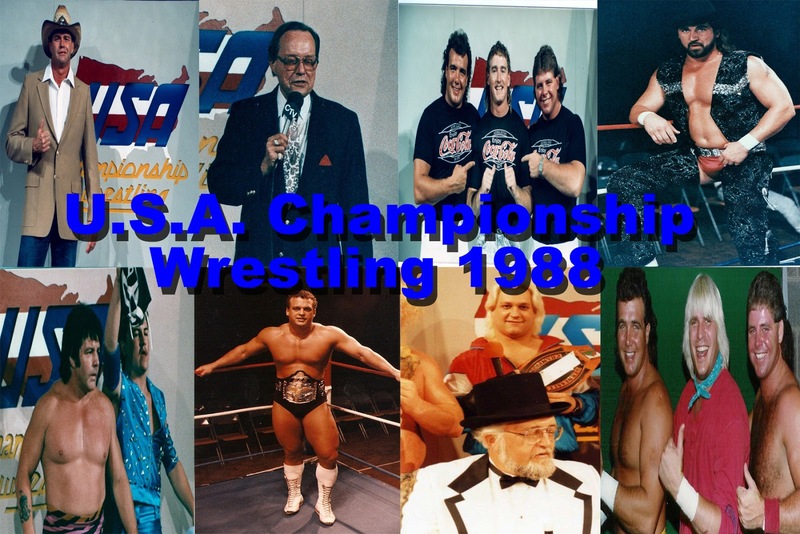 It opened doors for me and lead to me doing things I never thought about like becoming a multiple time published author, TV producer, working in promotions for a National Wrestling Company, and many other side jobs related to Pro Wrestling. I have had so many people pass through my life the last 26 years. Some who are gone now and I dearly miss. Some I still have a bond and strong relationship with till this day. Some I can't remember for the life of me and some who I wished I never met. Let's not forget one who became my wife. At times in my life S.S.W. was the only reason I got out of bed. It kept me running. It was a daily battle to prove I can do what I say. It has been a curse and a blessing to me. I have flown with eagles and scratched with chickens on the ups and downs with S.S.W. It is not what it once was. I'm the first to admit that mainly due to many priorities in my life have changed the last several years. I get messages all the time from people who watched online, read about us in magazines, and were faithful in attendance wanting to know when we are making a return to full time operation. I'm not sure that it will ever be back to what it was. I still do all the same jobs and responsibilities that I did with SSW when it was a full time promotions. The difference now is I do it for others who reward me and I don't have to take the gambles I did on my own dime. I will always be involved in wrestling one way or another. My dime or me being paid to do it. I still love every aspect of running live events. The nerves are always there before the door opens. The excitement is always there watching the crowd react the way you wanted them to. The disappoint is also there when it does not work out as you imagined. I love the story telling and putting stories in my mind into action in the ring. Then on to video and into a TV program. Tuesdays for me mean TV day. They have since the 90s. They were originally spent on the phone with David Thompson or in the editing booth with him. Then as I learn how to edit I was doing it all on my own. 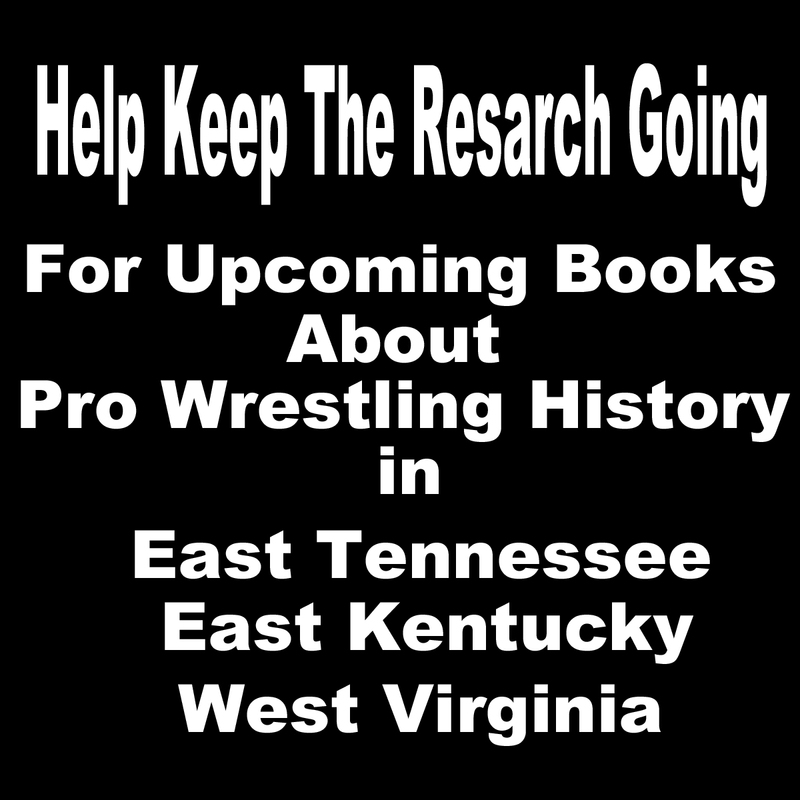 Now I spend it either editing or helping Nathan Lyttle get the Appalachian Mountain Wrestling program ready. One of my true loves in life is hitting a town with posters and flyers and covering the town promoting. You learn many life lessons, meet all kinds of people good and bad, and see places and evenst you can't from home by just walking the streets. To those who ask me about S.S.W. I have good news. To those of you who hate me and my promotion and want us to die a fast death. I have bad news for you. We aren't done yet. 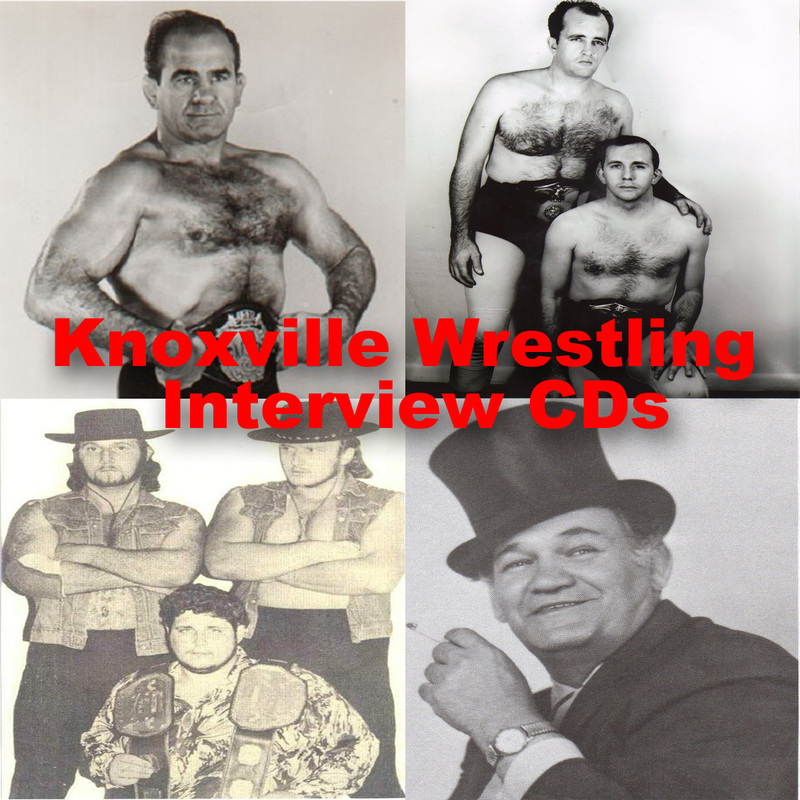 I have dates booked for later in this year in Kingsport, Greeneville, and Gray Tennessee. We have other dates in the works for other towns in Tennessee and West Virginia. 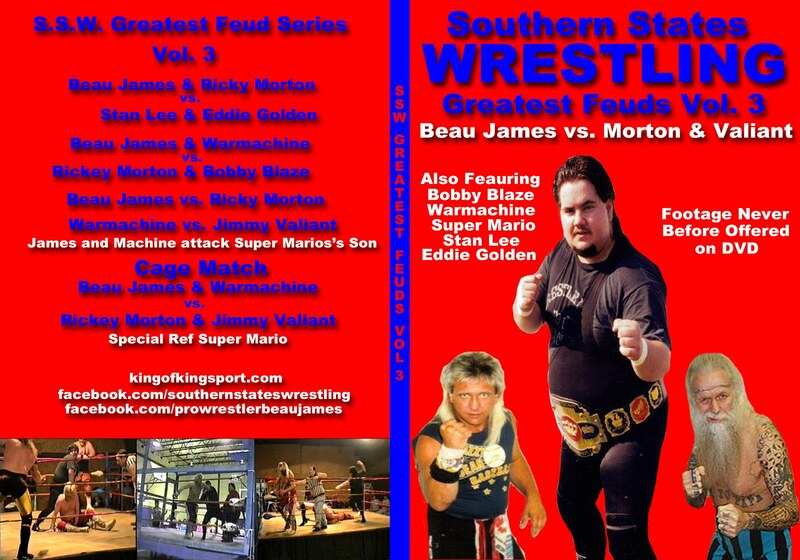 A brand new Southern States Wrestling website has been being built the last couple weeks. Lately it occurs to me what a long, strange trip it's been"
If it was not for that cold Appalachian day 26 years ago today none of this would have happened. Memories of that night S.S.W. 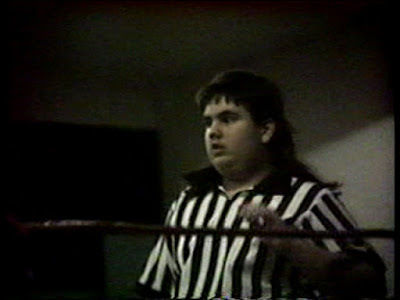 was born from my first book "Do Ya Wanna Be A Wrestler, Kid? on sale now right hand side of the page. using someone we felt should not be in the ring. and the date was set for Saturday, February 16, 1991.
and could get it anytime; I was just trying to find a truck. have it for their event. experience dealing with pro wrestlers came February 16, 1991.
to deal with to this day. Hyatt's house and found the ring right where he said it was. laughed out loud. I did not understand why. man with the keys to the building was late. We had to wait on him for an hour. He finally showed up and we got to work. No one else showed up to help; it was just me and Krunch. they had been hiding somewhere watching us until that point. to change things in the ring. event, one of whom was supposed to bring the P.A. system. and battles that I would face in the next few years. 1991 Videos now on DVD left hand side of the page.